Entrant numbers for Evo 2018 were revealed today, and there’s one big headline – Street Fighter is no longer the top game at the fighting genre’s biggest event. Instead, Capcom’s latest has been dethroned by the anime action Arc System Works has provided in Dragon Ball FighterZ. The numbers are close, but Dragon Ball FighterZ wins out with 2,530 entrants registered to compete, compared against the 2,421 registered for Street Fighter V: Arcade Edition. Though, hey, caveats – since those numbers were posted this morning, registration reopened due to some confusion about the cut-off time. Registration is now set to close tonight at midnight Pacific time, so the numbers won’t actually be final until then. Show your fighting spirit in the best multiplayer games on PC. Still, even if the numbers shift, the close player count reported by Evo boss Joey Cuellar are significant. SRK Stats provides a running tally for previous years, and this is the first time since SF4 the series has even been challenged. SF5 saw 2,622 entrants last year against Super Smash Bros. for Wii U’s 1,515 in second place. The closest top two was back 2015, when an aging Street Fighter 4 saw 2,236 entrants against Smash 4’s 1,929. Every returning game this year has dipped in player count, with the notable exception of Tekken 7. But maybe that makes DBFZ’s debut with over 2,500 players even more impressive. Overall entrant numbers for Evo 2018 are up compared to last year, with 7,437 compared to 2017’s 6,812. Overall attendance is also up, with 10,541 against last year’s 8,964. It’s a historic Evo for other reasons, too, as we found out back in February. It’s the first time there’s no Marvel game in the line-up, thanks to the poor response to Marvel vs. Capcom: Infinite. 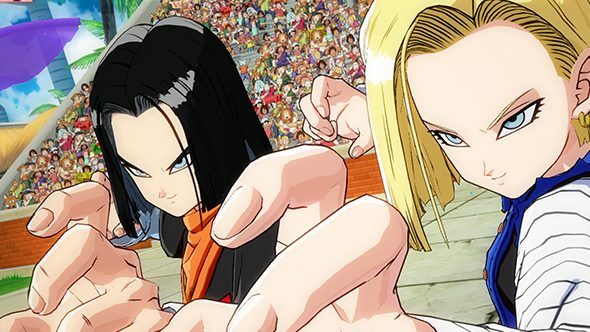 While you might look at all this as a story of Capcom’s decreasing hold on the fighting game genre, maybe you should look at it more positively – Dragon Ball FighterZ is really quite good, and the numbers are backing it up.